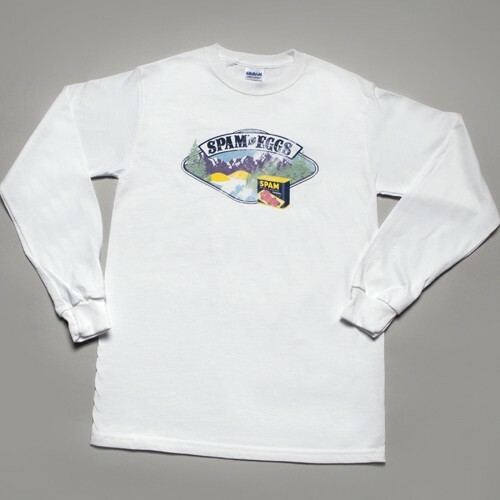 White long sleeve t-shirt with retro design of mountain scene featuring SPAM® & Eggs. This distressed imprint includes the original 1937 SPAM® Can. Available in adult sizes S-XXXL.